You are currently browsing the tag archive for the ‘ACLU’ tag. Maine, Criminal Justice Reform Needs You! I gave a lecture in Maine this week. It went well. People said nice things. Afterward, attendees and I talked about representation and perceptions—the considerations of which form the core of my work. We talked about feasible image-based actions and intervention. I had some ideas. Questions were raised about direct political action and advocacy too. Here, though, especially specific to Maine, I didn’t feel as though I had real suggestions. But now I do and this post details them. After a screening of The Prison In Twelve Landscapes hosted by the ACLU of Maine, at SPACE (a brilliant arts organisation, BTW) a panel of local experts gathered to discuss the most pressing issues at hand for prison reform in Maine and the particulars of current ongoing fights. Joseph Jackson of Maine Prisoner Advocacy Coalition, Meagan Sway, Justice Fellow at ACLU of Maine and Rachel Talbot-Ross, Maine state legislator talked about their work and that of allies. Joseph Jackson spoke first. He is a coordinator for the Maine Prisoner Advocacy Coalition. His work supports youth and adults in the system. African Americans account for 1.5% of the Maine population. Yet they account for 25% of the juvenile prison population and 29% of the adult prison population. Jackson detailed how the language and applications of law persist until they go challenged. We as citizens can halt years of inertia simply by paying attention and demanding clarification, renewal. As examples, Jackson pointed to laws that outlawed marijuana in the fifties based upon racist stereotypes. He also decried the ad hoc application of guidelines set forth by the Maine Department of Corrections; vague language (shall/should/will/may) and the consequent grey areas benefit prison administrations and staff as they can choose at will what guidelines are enforced and which can be side-stepped. When pressed, the DOC said that 1 in 8 guidelines were mere suggestions. Prisoners and advocates want clarity. If guidelines are actual policy, if they are enforced, can they be challenged. Meagan Sway explained that it is the ACLU of Maine’s current practice to oppose laws intended to define new crimes. In the face of mass incarceration, an obstructionist approach is logical. In tandem with fights for fairer and more humane practices in the courts and prisons, it’s effective too hopefully. Drastic times call for drastic response. Rachel Talbot-Ross is a Democrat Representative in the Maine state legislature. She spent 12 years working for the NAACP but concluded that while she had close relationships with lawmakers, commissioners, superintendents and the like, she was basically given the run around; kept busy but unable to force through meaningful change. Talbot-Ross resolved she would make more difference as an elected official. She won election in 2016 and is the first black woman to be elected to the Maine legislature since its founding 185 years ago. Think about that. Talbot-Ross doesn’t want congratulations for this and I am merely pointing out the fact. Support the campaigns of Maine Prisoner Advocacy Coalition (MPAC) and the ACLU of Maine against solitary confinement. A recent PBS documentary Last Days Of Solitary would have us think that Maine leads the way in step down programs out of solitary confinement, but the truth is other regimes and cell-blocks, such as the C-Pod, function equivalently as 22 or 23 hour lockdown. Without doubt, the work of then prison chief Jospeh Ponte deserves recognition, but Ponte left MDOC in 2014 to work at Rikers Island until this year, and more committed work to reduce solitary in Maine prisons still needs to be done in his wake. Saturday, December 2, 2017. 10:00am (doors at 9:30am). Curtis Memorial Library, Morrell Room, 23 Pleasant Street, Brunswick, ME 04011. Sign up for news from MPAC to join its actions. On November 30th, the Maine Legislative Council will decide which bills it will work on for the 2nd Regular Session. This is a procedure upon which you can have an effect. While some bills have already been slated for debate, others have been proposed, initially turned down, but have a last chance, under appeal, to make it onto the docket for 2018/2019. Talbot-Ross and her Democrat colleagues have four bills that deal with criminal justice and if you’re a Maine voter you can influence the 10 law-makers. One deals with in-person prison visits and the pushback against video visitation replacing physical contact. Another deals with solitary confinement. Now that marijuana is legal in Maine, there’s a push for all past marijuana convictions to be sealed. This is in order to cease the prevention of people getting jobs or other social services due to a conviction for something that is now legal. Contact Ross’ office directly. Your calls are needed to the 10 law-makers prior to the Nov. 30th meeting to request inclusion of these reform bills in the next session. Talbot Ross’ staff will provide all the info you need to lobby your state officials. Support the activities of Maine Inside Out, which engages system-impacted youth in drama and the arts and in advocacy. I was interviewed by ACLU recently: Prisons Are Man-Made … They Can Be Unmade. The Q&A focuses around the exhibition Prison Obscura and you’ll notice a return to many of my favourite talking points. 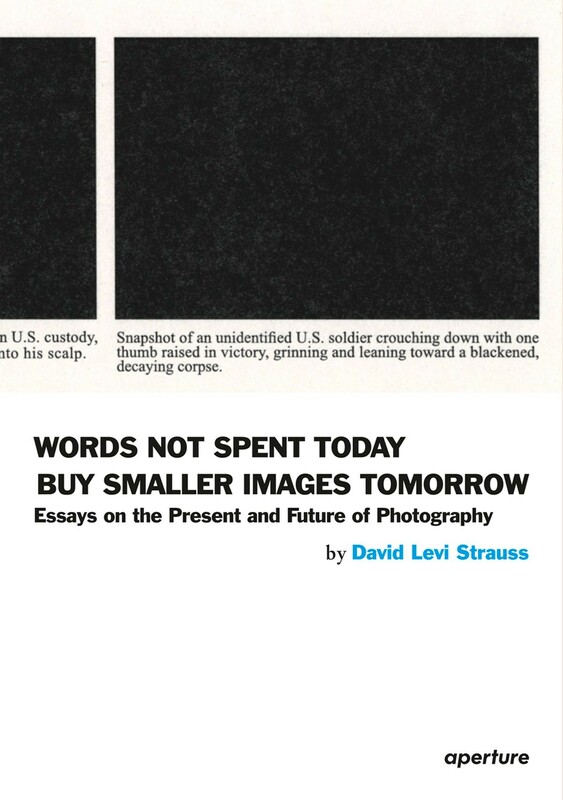 Still, the work never ends, and I know that ACLU will push out — to an expanded audience — my argument that we should all be more active and conscientious consumers of prison imagery. My thanks to Matthew Harwood for the questions. But the fundraising and the efforts are not over. If you’ve got any money to throw in the pot. I know Fischer and writer & director Ramon Hamilton would love to push toward the 100% funding. (At the time of writing, they are at 80%). You can view the pilot episode here, and if you like what you see, then donate. If you need a little more convincing about why to support a web series about this issue then read this conversation about “The Truth Behind Solitary” — hosted by ACLU — between Amy Fettig, senior counsel at the National Prison Project at the ACLU; Jeff Deskovic, advocate and exoneree who was released after 16 years in prison; and Hamilton. The wHole was filmed at the empty and never-used Wapato Jail in Portland, Oregon. When they were working on the pilot last year, I argued that it was the only good thing to come out of the vacant jail. In 2008, Tim Gruber embedded at the Kentucky State Reformatory to photograph in the geriatric wing designated for elderly and terminally ill patients. The result is Served Out, a photography and multimedia project. Here, I featured six images included in the PPOTR/Cruel and Unusual exhibition, but you should check out Tim and Jenn’s website for more stellar images. Both Tim and his wife Jenn Ackerman worked in KSR the same summer. Tim is unequivocal: their access was down to then-Warden Larry Chandler’s good grace and good sense. Chandler wanted people to see how their tax dollars were spent and understood photography as part of the transparency he insisted on for the institution. KSR even gave weekly tours of its facilities. Over the last 25 years, state corrections spending grew by 674%, substantially outpacing the growth of other government spending, and becoming the fourth-largest category of state spending. […] It costs $34,135 per year to house an average prisoner, but it costs $68,270 per year to house a prisoner age 50 and older. to put that number into context, the average American household makes about $40,000 a year in income. In 1981, there were 8,853 state and federal prisoners age 55 and older. today, that number stands at 124,900, and experts project that by 2030 this number will be over 400,000, amounting to over one-third of prisoners in the United states. in other words, the elderly prison population is expected to increase by 4,400% over this fifty-year time span. this astronomical projection does not even include prisoners ages 50-54, for which data over time is harder to access. The U.S. keeps elderly men and women locked up despite an abundance of evidence demonstrating that recidivism drops dramatically with age. For example, in new York, only 7% of prisoners released from prison at ages 50-64 returned to prison for new convictions within three years. that number drops to 4% for prisoners age 65 and older. But, also, Tim and I talked about the emotions and first-hand experiences statistics don’t capture – the need for alternative imagery of prisoners and their humanity; what it was like to work on the wings, sit with the men and witness death (“Tears would overwhelm me”); compassionate release, prisoner-volunteer medical assistants and how Tim’s imagery may effect change. Last week, Ahmed Khalfan Ghailani, 36, the first suspect transferred from Guantanamo military prison to stand a civilian trial was found guilty of only 1 of the 285 charges brought against him – a charge relating to involvement in the 1998 bombing of the American Embassy in Nairobi, Kenya. Prosecutors branded Ghailani a cold-blooded terrorist, but the defense portrayed him as a clueless errand boy, exploited by senior al-Qaida operatives and framed by evidence from contaminated crime scenes. Ghailani was convicted of one count of conspiracy to destroy U.S. property. He faces a minimum of 20 years and a maximum of life in prison at sentencing on Jan. 25. Only one charge was successfully prosecuted because civil courts don’t look kindly upon the involvement of torture in extracting testimony for evidence. Many observers attributed any weakness in the prosecution’s case to the fact that the Judge Lewis A. Kaplan of United States District Court in Manhattan, who presided over the trial, refused to allow prosecutors to introduce testimony from an important witness, who was discovered after interrogators used coercive techniques on Mr. Ghailani. If this trial is a precedent for other trials of Gitmo detainees to follow, prosecutions are going to have a tough time of it. The extent of torture used by American powers across the globe is picked apart in the ACLU’s ‘Torture Report’. Experts have dissected govt. documents (released under the Freedom of Information Act) to piece together the practice of enhanced interrogation techniques; practices that have ultimately derailed the prosecution cases against hundreds of GWOT detainees. In the past I have provided varied perspective on Guantanamo. I put together a rudimentary Directory of Visual Resources. I alerted readers to important coverage of exceptional events here and here (granted, all events related to Gitmo are out of the extraordinary) and I have provided reflection on Guantanamo through the lenses of Bronstein, Clark, Gilden, Linsley, Pellegrin, Toledano and Lieutenant Sarah Cleveland. Elsewhere, a friend of Prison Photography alerted me to the online journal JumpCut. Julia Lesage has assembled the most comprehensive webpage of Guantanamo links I’ve ever come across. Some of the links are already 404, but I would encourage you to peruse – I have still not exhausted the many resources. Leasge also contributes to the Spring 2009 issue with a section on ‘Documenting Torture’. On Thursday, 28th May, photographs of prison conditions and detainee custody from six facilities other than Abu Ghraib will be released to the public. Reports over the weekend suggested a figure of 44, but the Guardian has stated over 2,000 photographs are to be made public. Images of Bagram Air base in Afghanistan are included in the cache. Critics will surely scan for similarities in detention/torture methods used in Afghanistan as in Iraq to argue against the ‘few bad apples’ logic that railroaded earlier attempts to bring military and government commanding authorities to full-accountability. ACLU’s advocacy deserves international acclaim. Not only have they forced the release of photographic evidence they won a ruling to prevent the destruction of audio tapes that record torture scenarios. This is an interesting counterpoint. I presume we all assume we’ll see the images in the printed press. Would we expect the tapes to play on our televisions and radios? That scenario makes me uncomfortable. Continuing with issues of format, it will be interesting to see how the media presents the-soon-to-be-released photographic documents in contrast to the recent torture memo’s. WoWoWoW set the bar low with the tabloid inquiry “How Bad Will They Be?” and the Los Angeles Times allays fears with a dead-pan assessment, “examined by Air Force and Army criminal investigators, are apparently not as shocking as those taken at Abu Ghraib. But, I guess it depends who’s looking. Lefties want more weaponry in the push for prosecution of Bush and his cronies for war crimes. The right is debilitated and otherwise occupied by the economy, stocking guns before the “Obama-ban” and the latest Meghan McCain slur. Politicians from both parties seem to want this to go away, snarking on about how the release of yet more Un-American activities will only fuel the burning hate toward the US. This position is an insult. Did Bush care what Iraqi’s would think when he bombed them out of house and home? Did Bush care to think how American’s would react in the face of diminished civil liberties? Yet here, politicians of both parties are scrambling to avoid the negative reactions of entrenched, fundamental opponents INSTEAD of anticipating the beneficial good-will and return to mutual trust provided by honest disclosures of a transparent and constitutional government. Why cover-up a cover-up? Maybe, the Democrats are shy to see these documents because they may implicate their top brass? One concern I will air, is that all this could move toward some bizarre show-trial scenario, where lawyers bargain, Bush is spared, the American public settle for a conviction of Cheney, and careers and reputations lie in waste on both sides of the aisle!?! I certainly didn’t expect the incriminating documents to flood as they have in recent weeks. I have no idea how all this is going to shake down. Obama doesn’t seem to have control of this. That doesn’t bother me. No-one can hold back the truth.